At first I was going to do it all in one post but the post just got longer and longer so I decided to separate them by sections! 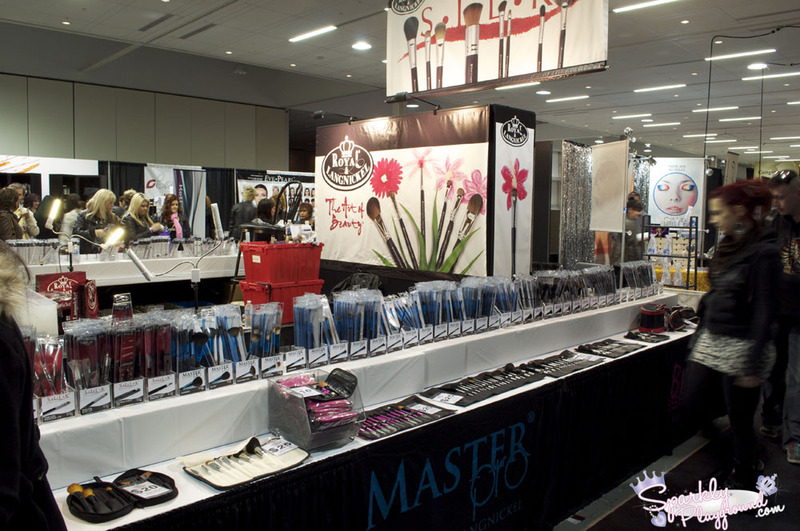 Here is the section for brushes! I really enjoyed myself at this booth. I wish I came to this booth first because they had amazing deals, and they gave me extra discount also. Their staff was super nice and explained every annoying, repetitive question I had. Their brushes are such great quality that I still use their brushes everyday. Very Recommended! 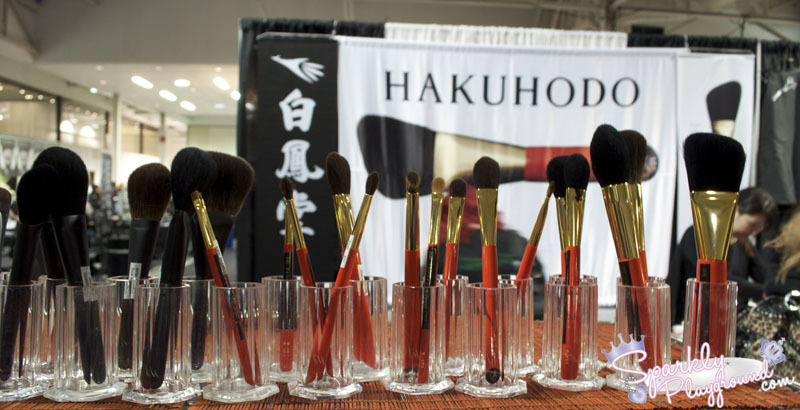 A luxurious brand of brushes and of superior quality. I was pretty addicted to touch and brushing it on my hand while I was there. They are pretty expensive though for the average cosmetic user. For example, an angled brush can range from $72 to $120. When I become well off and no longer have my student loan maybe I will invest in these. I think that, if you are really new to brushes and you want to know what good brushes feel like, this is the place to test it out on your hands. So you know what you can look for when trying more affordable brands. I don't even know how to begin with these. Okay, it's a love and hate because I anticipated SO much last year I literally RAN to this booth to find my gems last year. I was doing a bit of reasearch and it seemed like it was raved to be good quality and affordable. The experience I had was that no one cared to answer my questions about the brushes. Some of the brushes are quite expensive. 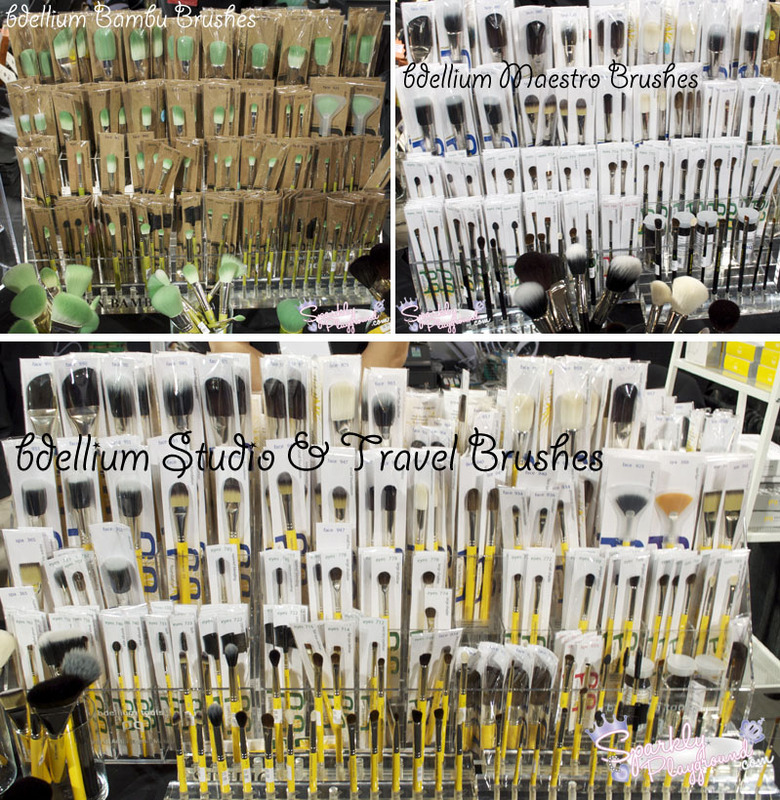 I really regret going to this booth first because I spent so much money on brushes here when I should've checked out other booths to compare first. More Pictures on SparklyPlayground's Facebook Page.